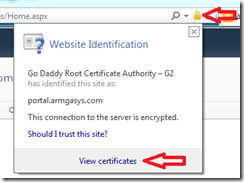 SSL Certificates, SharePoint, and User Profile Synchronization… OH MY! 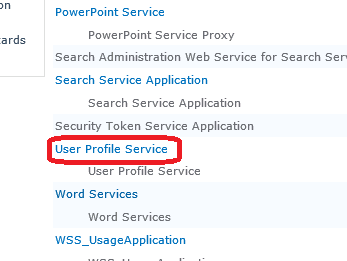 SharePoint is complex! 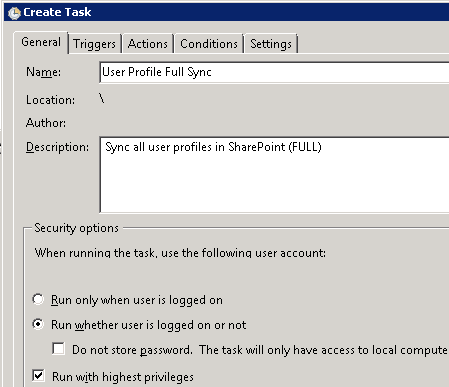 Add in User Profiles and FIM Synchronization with SSL and SharePoint can become a administrator’s worst nightmare. 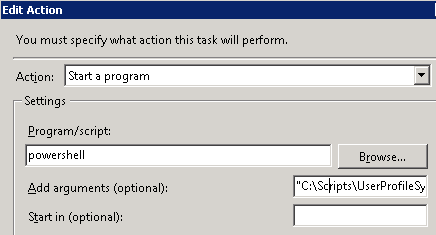 Our latest “really?” moment recently occurred when MySite (User Profile) details stopped replicated back to Active Directory in our of our installs. 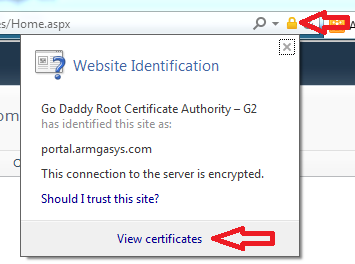 “System.Net.WebException: The underlying connection was closed: Could not establish trust relationship for the SSL/TLS secure channel. —> System.Security.Authentication.AuthenticationException: The remote certificate is invalid according to the validation procedure. 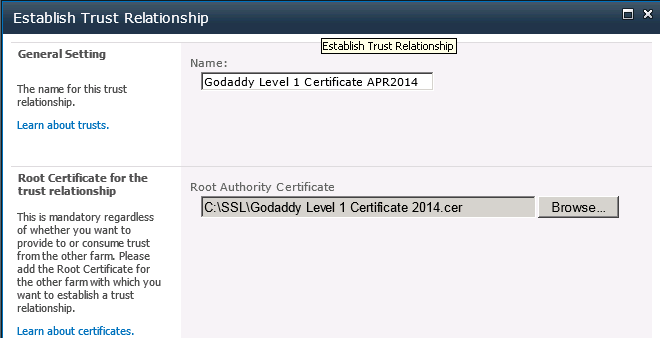 An operation failed because the following certificate has validation errors:\n\nSubject Name: CN=*.ARMGASYS.COM, OU=Domain Control Validated\nIssuer Name: CN=Go Daddy Secure Certificate Authority – G2, OU=http://certs.godaddy.com/repository/, O=”GoDaddy.com, Inc.”, L=Scottsdale, S=Arizona, C=US\nThumbprint: ABCDEF123456790\n\nErrors:\n\n The root of the certificate chain is not a trusted root authority.. 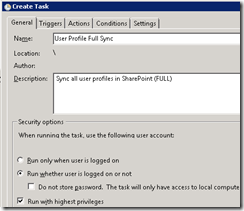 Copy the .CER files to your SharePoint server or a location where you have access to SharePoint Central Administration. 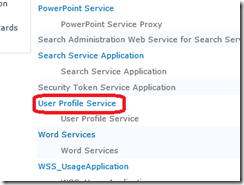 This entry was posted in SharePoint on April 16, 2014 by ArmgaSys.